The title, Madness of the Muses, is inspired by a dialogue written by Plato in 370 B.C. In it, Socrates and Phædrus discuss the influence of the Muses on the artist versus intellect alone. They conclude that inspired art is far better than anything the logical mind could create on its own. 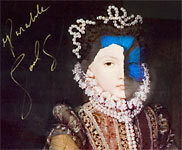 Artist, Ingrid Dee Magidson has reached into this chaotic source of creativity and produced some of the most unusual art works being made today. Each work is a three-dimensional composition of transparent acrylic layers, Renaissance images, abstract painting, butterflies, antique objects, music sheets, collage and more. The viewer is invited to look into Magidson's world where time is irrelevant — where hundreds of years are captured in a single work. The result is art that is at once beautiful and captivating. 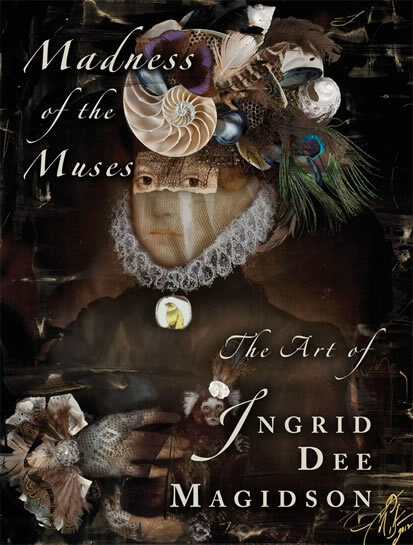 Madness of the Muses is an overview of the career of this intriguing artist. Over two hundred color reproductions highlight Magidson's life and artwork; from her early experiments to the brilliant works being done today. Articles by prominent magazines and newspapers, as well as essays by the artist share a personal look at Magidson's early life and her meteoric rise as an artist. Included in the book is a complete catalogue of Magidson's work from 2006 to 2013. With a special introduction by contemporary Russian and American art collector, Bradley E. Place, Jr. When you click the link to the right, you will be brought to a new page. We use PayPal, it is safe and secure. You don't need an account and you can use any major credit card or your PayPal account if you prefer. Thank you. Introduction by Collector, Bradley E. Place, Jr.